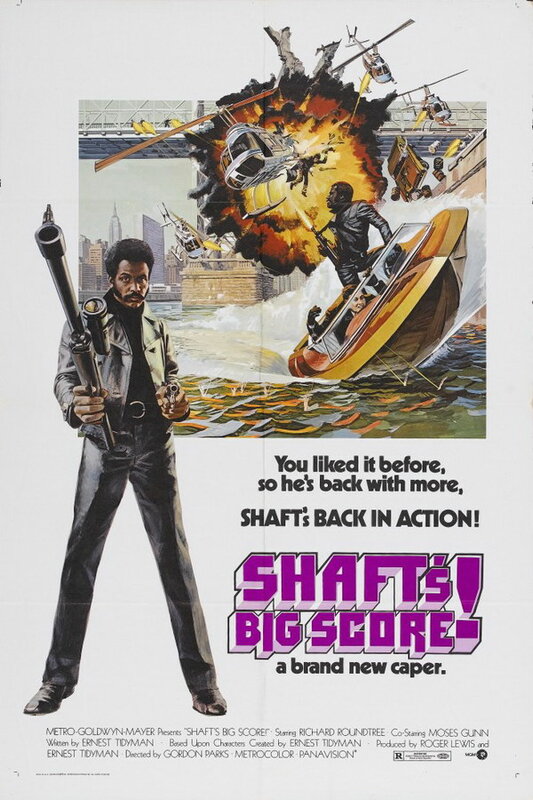 Shaft’s Big Score! is a 1972 American neo-noir action crime–drama film directed by Gordon Parks. The font used for the movie title on the poster is probably ITC Pioneer, a blocky shadowed outline capitals designed by Tom Carnase. The font is a commercial one and you can view more details about it here. In addition to Shaft’s Big Score, ITC Pioneer typeface is also used in the following logos, movie posters or album covers etc., including: Wattstax (film), BlacKkKlansman.